They may have the reputation of being the staple of the student diet, but baked beans are healthy and nutritious for all. 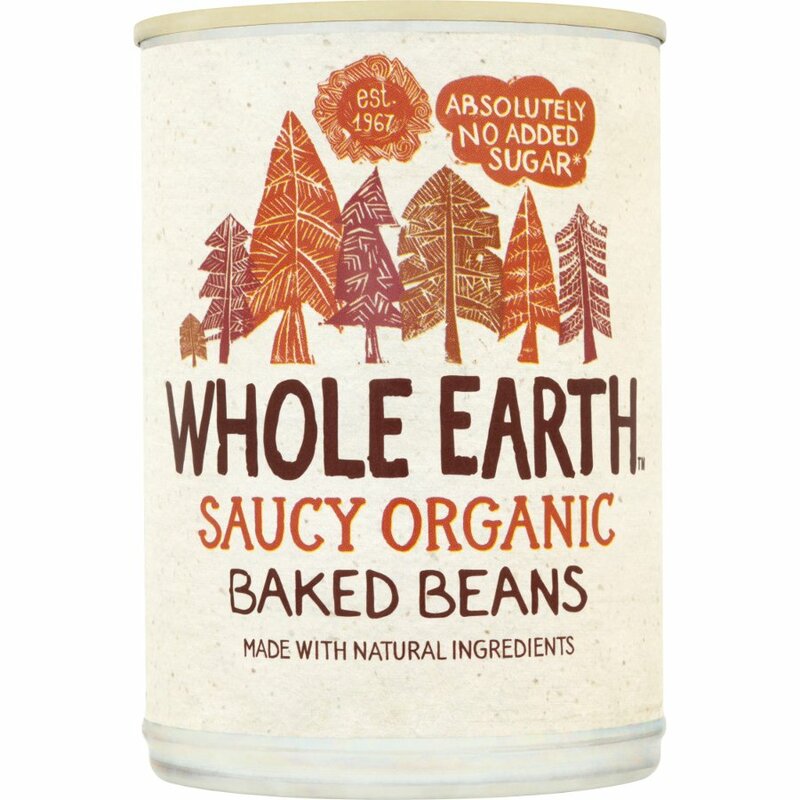 These baked beans from Whole Earth go a step further as their beans are not only scrumptious and filling, but are also low in fat, contain no artificial ingredients, and they are in a sauce made of organic tomatoes. 400g. This product is vegan friendly and suitable for a gluten free diet. Did you know...? Brits consume more baked beans than any other country in the world - on average each of us eats 15lbs each year! Store in a cool, dry place. Once opened empty unused beans into a non-metallic container, cover andf keep refrigerated. Consume within 2 days. 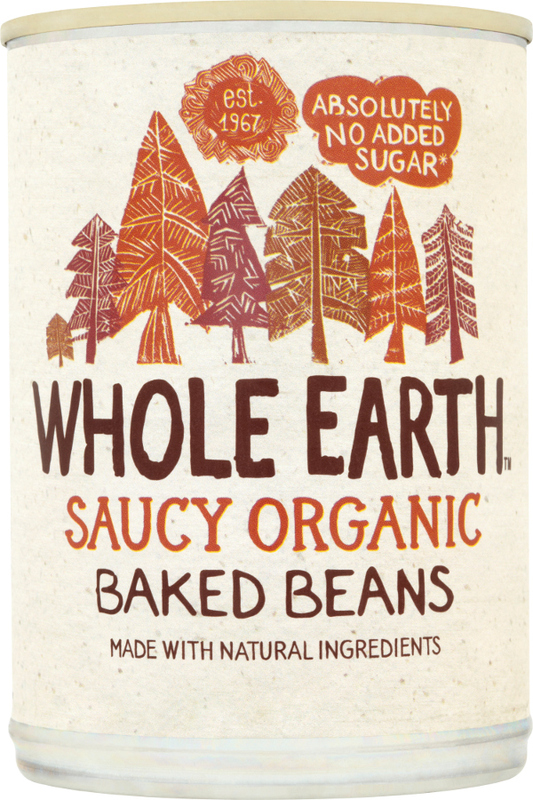 The Whole Earth Organic Baked Beans - 400g product ethics are indicated below. To learn more about these product ethics and to see related products, follow the links below. Good flavour and lots of beans. A richer experience than your regular baked beans. There are currently no questions to display about Whole Earth Organic Baked Beans - 400g. Whole Earth are pioneers of organic food. The company was started in the sixties by Craig and Gregory Sams, and has helped make organic health foods what they are today. From small beginnings producing organic whole nut peanut butter, they now produce a vast array of products that span most aisles of the supermarket. You'll find the Whole Earth stamp of quality on everything from cereals to sparkling fruit drinks, and coffee to organic baked beans and ketchup.